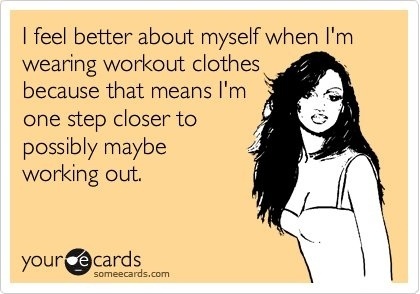 I have signed up, I went swimming, I bought gym clothes. Somehow I don’t seem to be a size 8 yet. I just don’t understand it. This is it. Totally for my own good. Totally. This is totally why I’m having a box of Matchmakers for tea. Let’s ignore that fact that I only bought them this afternoon and that I’m actually too lazy to make dinner, it’s totally for own good and healthy eating plans. Probably. So, the new hours! The new hours are part of a new role that came up at work which is covering the US Customer Care team. As they’re based in Piscataway currently, they’re five hours behind which make my new hours 1.30-10pm. Everyone else seems to think this is terrible, but I’m pretty sure it’ll suit me down to the ground. Firstly I get to not have to wake up at 6am everyday and struggle out of bed. Now equally I need to try not to sleep in until midday either, but it will at least give me a chance to come to at my own pace and have a bit of chill time before heading to work. Secondly it should hopefully be good to break the cycle of “struggle to get up, struggle to get through work, come home, fall asleep, wake up for dinner, go to bed. 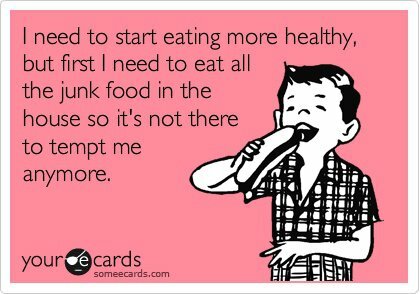 Rinse repeat”. Thirdly it gives me a chance to do all the boring mundane stuff like doctors, hospital, dentist etc outside of work hours. Not to mention mid-morning coffee and cake (y’know, when I’m not at the gym). Finally, it’s a bloody good opportunity at work. I get a whole new team to work with, I get to train them cos it’s entirely made up of newbies, and then *hopefully* it might get me a promotion at the end of it if it all goes well. Plus it involves a week in the US. Woo!! Talking of which, I am a tad apprehensive of how a week in the US, jet lag and fibro all go together, but I am totally willing to give it a go! I get two days in New York with Tess, which will be bloody amazing, plus she has no qualms about leaving me to collapse in a heap when I’m too tired to move. It’s then just the following four days in the US office that I have to worry about. I’m going out there with my new boss, who knows nothing about me or my fibro, so I’m just hoping that either I survive ok or she’s nice enough to talk to! I have at least managed to score myself a day off on the final Friday of the trip, so I fully intend to spend the entire day in the hotel’s pool and jacuzzi. Bliss! So it’s all looking new and exciting right now. I’m slightly knackered at the thought of it all, but then I’m slightly knackered at the thought of most things, so no change there! Oh for a little light dusting! This is pretty accurate at the moment! I’ve spent the last two weeks trying to build up the energy to tidy the house, do some washing and maybe even finally finish the decorating I started about three months ago. Sadly all I’ve managed so far is moving stuff around to look less messy and throwing away a few bin bags of clutter. The house looks no better and I feel three times worse. This I think has to be one of the most frustrating things about fibro. It’s bad enough that work and social interaction leave me exhausted, but when I can’t even do the basics around the house that I categorically know need doing, it can leave me feeling pretty pissed off. Don’t get me wrong, I have a bloody amazing husband who makes for an extremely good wife (his words!) but it shouldn’t be like that-I should at least be able to wash up without crippling back pain, or tidy up a bit without having to collapse every ten minutes. 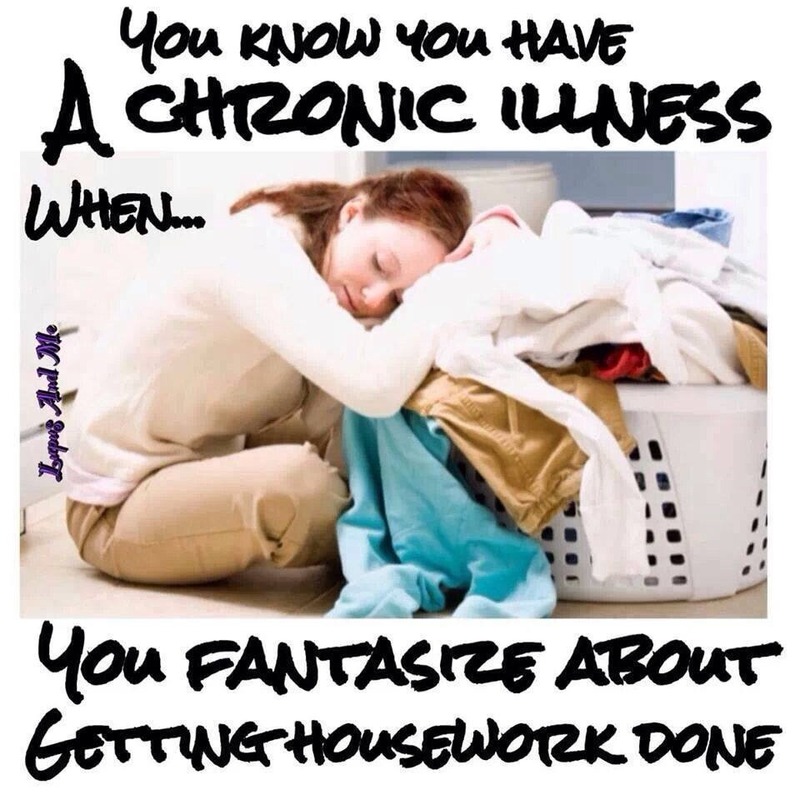 So I never thought I’d say this, but if i could wish for one fibro related improvement it’d be nothing more than just being able to spend a day doing normal housework things without feeling like I’d been run over by a bus.